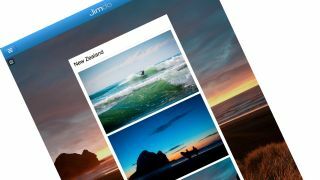 Jimdo, the website development service that allows you to build and personalise their own website without knowing code, is now available on iOS. The move comes as more users try to access the service via iPhones and iPads. Users will be able to add, modify and delete content on the go. The company says it is essentially a slimmed down version of the desktop service with simplified controls. Co-founder Christian Springub talked up the launch, saying: "By integrating the new app with our existing platform, users now have the freedom to decide when, where, and with which device they edit their sites. Users can even start on one device and finish on another." Jimdo was founded in Germany in 2007 by Christian Springub, Fridtjof Detzner, and Matthias Henze who wanted to make website creation more accessible. According to Jimdo, over 8 million websites have been created with its software.